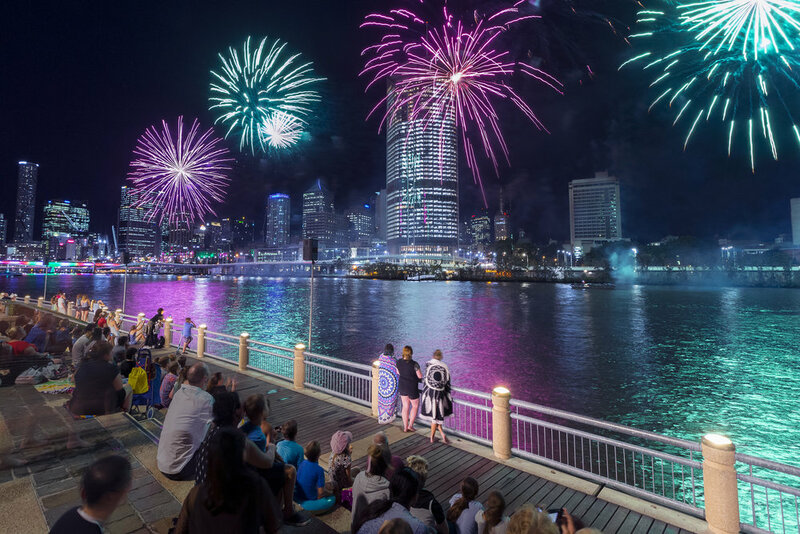 With only a few sleeps left till Christmas Day, Bris-mas is a wonderful time to experience the array of free events on nightly till Christmas Eve. Gather your friends and family and enjoy the spirit of Christmas together this festive season. The Gold Lotto City Hall Lights is a shining jewel in the crown of the Christmas program. This year, Brisbane’s City Hall will light up with an all-new magical light projection show. This will be The City’s most colourful and spectacular Christmas projection yet, and one for all ages to enjoy. A must-do for everyone’s Christmas calendar, the Gold Lotto City Hall Lights will run every 15 minutes until midnight, starting on Friday 8 December and running through until Christmas Eve. 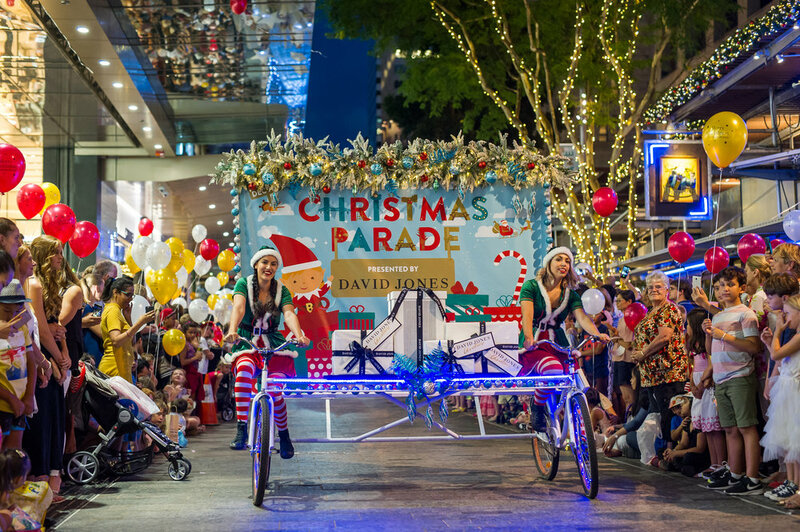 Brisbane’s favourite family tradition, the Christmas Parade, returns to The City this December. Brimming with music and merriment, the parade comes complete with a nativity scene, Santa and dozens of performers to entertain and delight all ages. 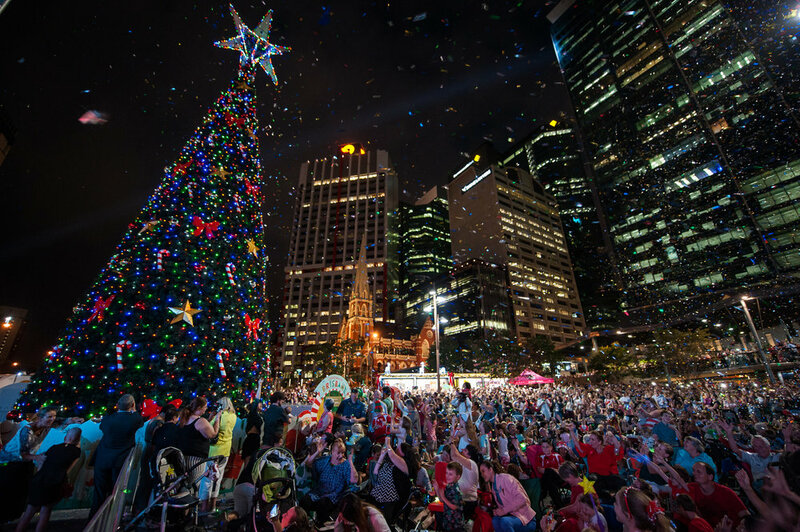 It’s on nightly from 15-24 December and commences at the Edward St end of the Queen Street Mall. It then weaves its way through our vibrant city, culminating at King George Square. Festive spirit glows brightly at South Bank this Christmas with a sleigh-full of free entertainment for the whole family. 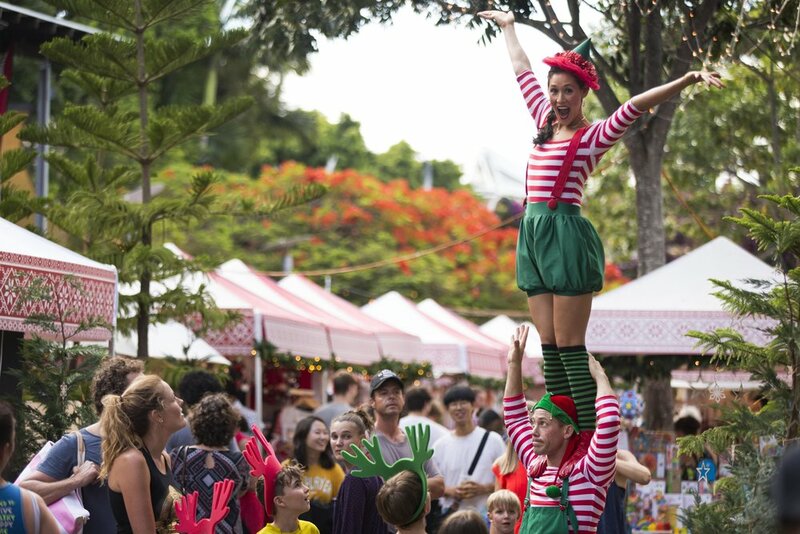 From 15-23 December, the Parklands will be brimming with live music, carollers, a gift market and a beach cinema at the Christmas Village. For details and to plan your visit, head to visitbrisbane.com.au. As the sun settles for the day, stake your place on Streets Beach and snuggle-up to watch your favourite Christmas films. Family-friendly movies will screen at 6pm and 8pm each night. Visit here for a guide to what movies will be showing. Listen to soulful live music at Village Beats at the Arbour View Café Lawns for half-hour sessions at 4.15pm, 5.45pm and 7.15pm. Live performers will be serenading Stanley Street Plaza each evening from 6.15-8.45pm. Sing loud and proud for all to hear at the nightly Carols by Twilight at River Quay. With 30-minute sing-alongs starting at 5pm, 6pm and 7pm each day of the Christmas Village, there are plenty of opportunities to spread Christmas cheer with friends and family with a good old-fashioned sing-along. Watch the summer sky ignite in a flurry of colour and sparkle at South Bank’s Christmas Firework Spectacular, presented by eatSouthBank. The 10-minute display kicks off at 7.45pm, nightly from 20-23 December, set to a soundtrack of your favourite carols. The best vantage points are the Clem Jones Promenade, Streets Beach and River Quay. With such a wonderful FREE Christmas program, there is an event for everyone to enjoy and experience this festive season. View further Christmas in Brisbane details here.